The creator of the Firefox browser is claiming a download record for the release of the latest version; Firefox 3.0. 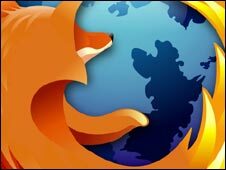 According to software developer, Mozilla, the web browser was downloaded 8.3 million times within the first 24 hours it was available. The folks from the Guinness Book of World records have to tabulate some information and verify the record - expected to take about a week. If you missed downloading it in the first 24, it's still worth it ... just click here.